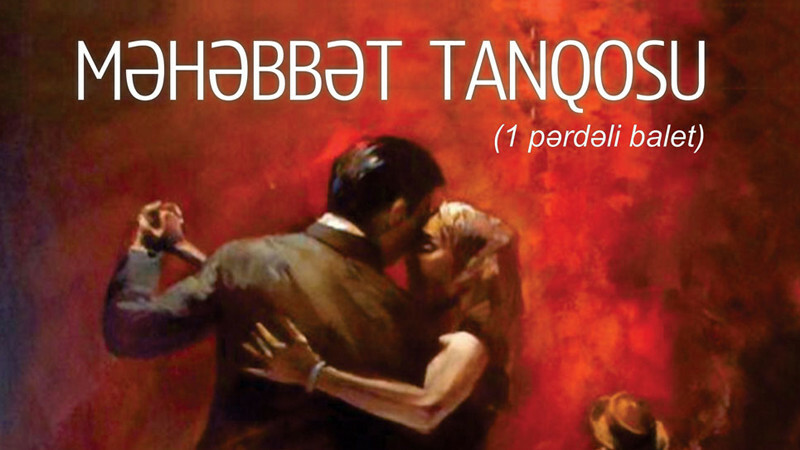 Tango of love in Azerbaijan State Academic Opera and Ballet Theatre buy tickets online. Delivery of tickets for the event Tango of love. Raul-young man, enters tavern. There are many visitors, couples are dancing, captured by each other. Waiter points at vacant table, youngster takes a seat and looks around. He’s waiting for his friend. Young lady Laura steps out and dances in front of the quests, musicians play. Visitors are delighted by her looks and dance. Raul is nervous he’s never seen such a strange, magical dance. Tavern owner Miguel leads Laura to the visitors’ table – it’s her duty to dance at each table to earn money for tavern owner. Young beauty seems to catch Raul’s feeling, approaches his table and teases him by dancing in front of him. Tavern owner understands that he can earn a lot of money serves them the most expensive drinks. Raul drunken by the dance and little witch is already dancing on the table holding glass of champagne. Youngster notices as his friend Teresa approaches. Outraged Raul’s friend tries to stop the dance and turns the table upside down but little skillful witch jumps off the table and as if accidentally falls in Raul’s arms. Raul understands that he is unable to let go of her, stricken by love and forgotten about everything, he escapes from tavern with Laura. Tavern owner tries to stop them but he fails. Lovers captured by each other, love and passion led them away and they haven’t noticed how they were surrounded by tavern owner’s servants threatening them both. Raul enters in an uneven fight but he won’t manage. He is cruelly beaten up. Laura agrees to follow Miguel’s servants to the tavern in order to save Raul. Tavern, performance is on but everyone is waiting for famous dancer and Laura is dancing in front of the audience but her soul is filled with pain and Laura’s dance is full of sadness. Miguel forces young lady to dance with him. Audience supports dancers. Raul enters tavern despite of danger. He can’t overcome his feelings as he sees his lover is dancing with Miguel. Jealousy hurts him. Teresa approaches him. She was looking for him and prepared to forgive him and forget everything. Raul listens inattentively as all his attention directed towards dancers. His friend understands everything. It’s impossible to bring him back. Raul is all taken by that girl, that witch, that gipsy. Feeling of hate and revenge born in her heart and she’s prepared to do anything. In meantime performance continues in tavern, girls invite fellows to dance. Miguel is furious to see Raul and keeps guards prepared. Raul is looking for Laura. Laura is on stage again dancing for an audience. She sees Raul and her dance directed only towards him. Fellow rushes towards her. Laura is in his arms again and guards are next to them. Teresa and Miguel are trying to separate them but they fail. Furious Teresa stabs Laura with a knife. Everyone freeze in terror and murderer is escorted out. Poor Raul is trying to breeze life into his lover but all the efforts are in vain. She dies in his arms. World continues to exist and love will always be alive.